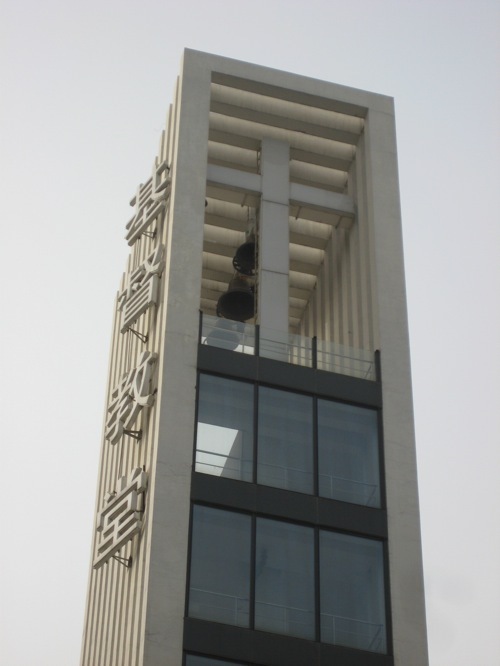 Founded in 1922, it was constructed in 1933 as a congregational church. 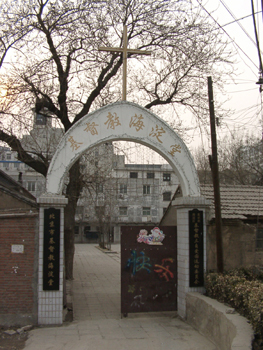 The church founded schools and other charitable organizations before being closed during the Cultural Revolution. It was restored in 1985 with less than one hundred active members. Below is the old church. 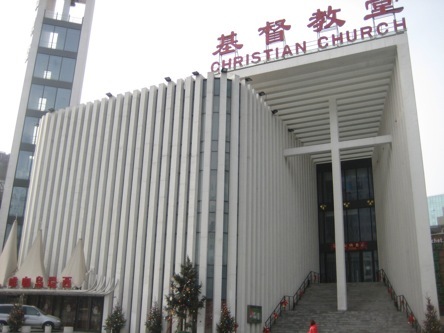 To accommodate exploding Christian members, a new church was planned and completed in 2007. Designed by German architectural firm GMP International GmbH, the new church is an all white ultra modern structure with innovative designs. 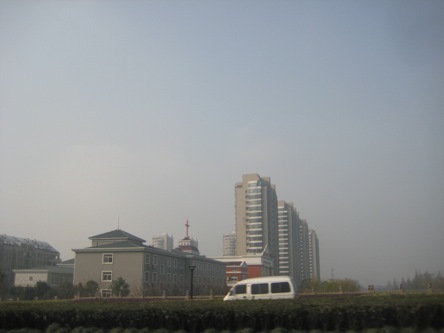 So after arriving in Beijing, that’s the first place I tried to go. What happened next was interesting. A friend and I planned to drive there from the east side of town. But knowing little about that side of town, we got lost as soon as we got off the highway. We had no idea where we were. We didn’t even know how to get back to the hotel. My friend became angry at me, and we became angry at each other. Upset, I said, let’s just go back. Forget about the church. Without knowing which way is east, we drove aimlessly. But after several random turns, praise God, we saw the church! Standing in front of the church, the visual impact was not what I expected. If this structure is standing alone under a beautiful blue sky, in another word, put this church in Kentucky, it might feel very differently. 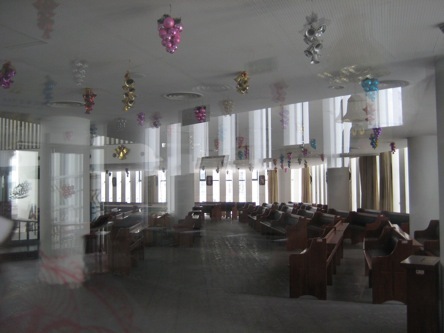 The interior of the main chapel. 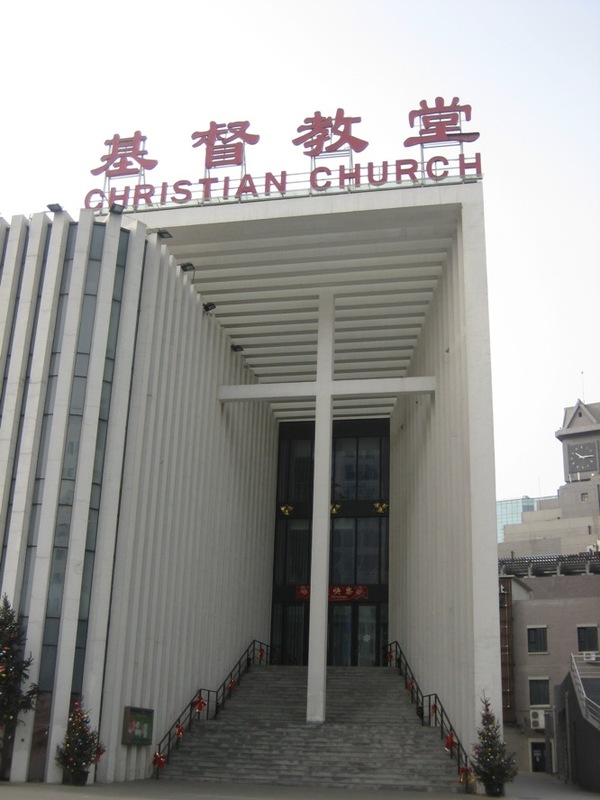 Many new churches in China have modern technologies such as big screen TV. It is almost like a college classroom. It was Tuesday morning, and a prayer meeting was in session. At the hallway, I saw a group of old ladies in prayer. One lady was crying, watch below. In the small chapel on the first floor, there were around forty people sitting in circles, talking. Most of them are retired women, with a number of retired men and a few peasant-looking younger workers. One lady, we will call her Miss Sixties, recalled her journey to Christianity. “It was one year ago, I accepted Jesus as my personal savior. The other day, I attended Christmas mass. Looking at the baby Jesus, I felt so much gratitude in my heart. Oh, baby Jesus, weren’t you in my heart, like a seed, to help me see myself? You grew in my heart, and you led me to light,” her voice raised and her eyes turned red.